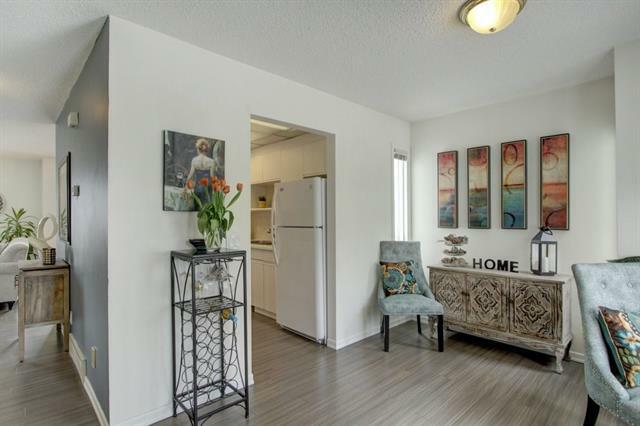 Lovey Large 2 Storey END UNIT with a total of 1887 sq feet In a small complex in the highly desirable & quiet community of Woodbine. Beautifully maintained & shows incredible pride of ownership. Main level has new modern grey laminate throughout & renovated powder room. 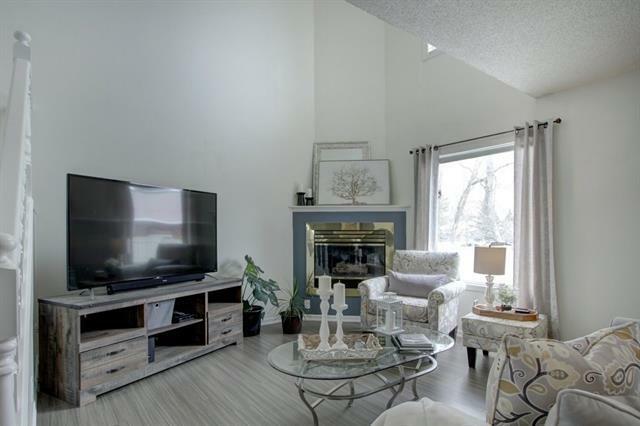 Large living & dining rm w/corner gas fireplace & striking vaulted ceilings. Lrg windows throughout home let in enormous amounts of natural light. Enjoy summer BBQs with family & friends on your new deck surrounded by mature trees. 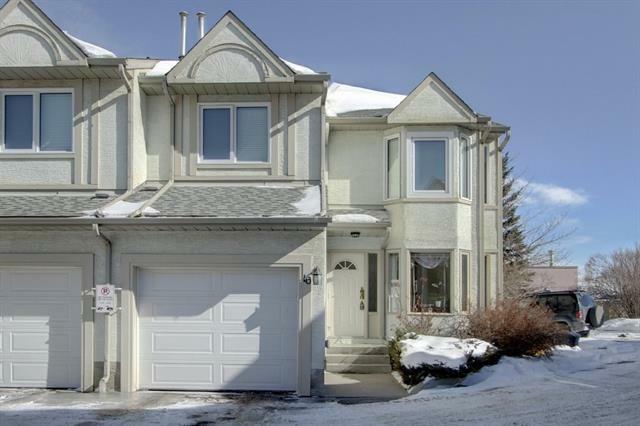 Upstairs you will find 3 good sized bedrms & family bath.Master bedrm has a 4pce ensuite bath w/jetted tub & walk in closet. The lower level you'll find a large family room with laundry & tons of storage.Enjoy indoor parking with your SINGLE ATTACHED GARAGE. 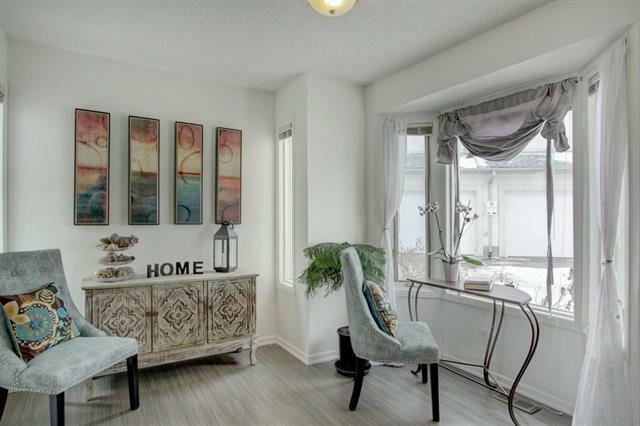 Incredible location, walking distance to parks, walking paths, schools & FISH CREEK PARK!PLUS:New windows & blinds upstairs,new garage door & new hot water tank.Steps to the bus stop & easy access to ring road 22x/Stoney Trail,Anderson & other major routes. Listing provided courtesy of The Real Estate Company. © 2019 CREB®. All Rights Reserved. Data supplied by CREB®’s MLS® System. CREB® is the owner of the copyright in its MLS® System. The Listing data is deemed reliable but is not guaranteed accurate by CREB®. The information provided is for consumers’ personal, non-commercial use and may not be used for any purpose other than to identify prospective properties consumers may be interested in purchasing. The trademarks MLS®, Multiple Listing Service® and the associated logos are owned by The Canadian Real Estate Association (CREA) and identify the quality of services provided by real estate professionals who are members of CREA. Used under license. The trademarks REALTOR®, REALTORS®, and the REALTOR® logo are controlled by The Canadian Real Estate Association (CREA) and identify real estate professionals who are members of CREA. Used under license. Data last updated: 2019-04-21T15:29:21.947.